Heavy-duty file folders feature a plain-folded bottom that expands 3/4". 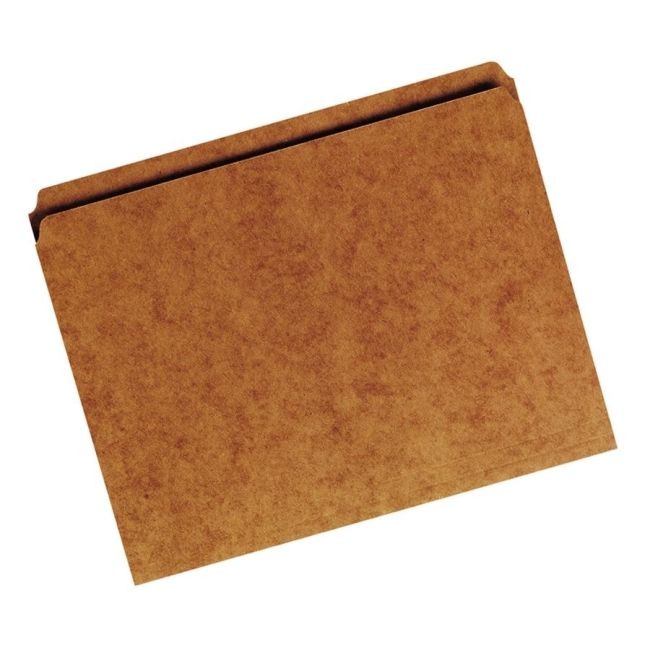 Heavy-duty folder holds letter-size documents. Design features 17 point stock and straight-cut tabs. With 30 percent post-consumer content, each file folder meets CPG guidelines.